Merry Christmas to all my friends, fellow runners and anyone reading this post. 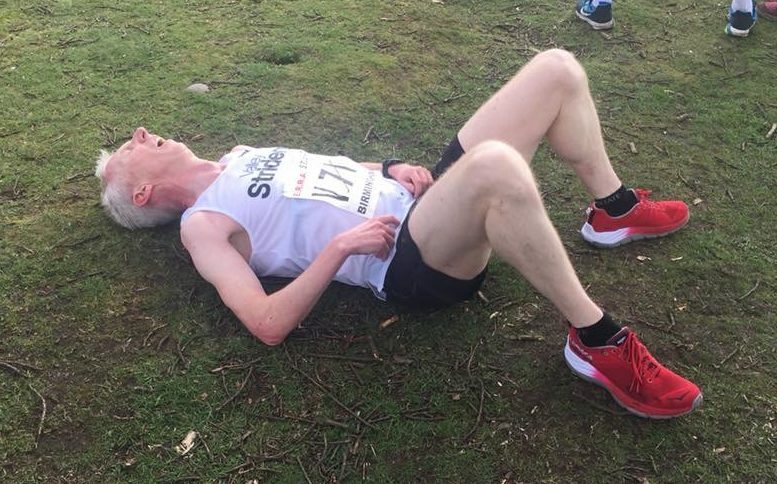 Thankfully, I recovered from my cold in time to run two races during Christmas week – the Chevin Chase on Boxing day and the Ribble Valley 10K on December 29th. I had to take a full 6 days off running because of the cold which wasn’t an ideal preparation in my quest to run a sub 37 minute 10K race during 2013. Feeling a little better, I went for a 4.5 mile run on Christmas Eve in order to test out my fitness. I was still coughing and sniveling a little, but it felt good to be out running again despite the rain and gale force winds that were battering Britain at the time. I ran at about 80% effort at Leeds parkrun on Christmas Day – as always it was great to be running on Christmas Day, the atmosphere at parkrun was brilliant and thanks to Liz Jones for Directing and providing tea coffees, cakes mince pies and a whole host of goodies for the runners. The Chevin Chase is a brilliant 7 mile multi terrain race held on Boxing Day. For non Yorkshire readers, Otley Chevin is steep sided hill that overlooks and dominates the pretty Wharfe valley market town of Otley and is a favourite haunt for runners, walkers and climbers in North Leeds. The route is basically from Guiseley in the Aire Valley, up and over the Chevin and down into the Wharfe valley near Otley and then back up the Chevin out of the Wharfe valley and back down to the start point in Guiseley. Traditionally, many of the runners wear fancy dress and being Boxing Day morning, lots of spectators come out to cheer on the runners. The presence of local hero Jonny Brownlee in the field certainly helps to swell the numbers. Most spectators congregate on the final lung bursting climb back to the top of the Chevin at Surprise View. The atmosphere on that part of the route is simply incredible. The spectators line the route on either side of the narrow path, shouting, cheering, bashing cow bells. It is the closest I will come to knowing what it is like on an Alpine climb in the Tour de France. Wonderful. Conditions on Sunday 29th December for the Ribble Valley 10K were nearly perfect – a sunny day, a bit of breeze but certainly not windy and 5 degrees. I hadn’t run this race before so I didn’t know the course, but I guessed it must be flat and fast as there are usually quite a few guys well under 30 minutes at the head of the field. I set off quite near the front, getting through the timing mat in under 10 seconds so traffic wasn’t a major problem. After a good first K in 3:38, I found the next few kilometres a bit harder than they should be, though most were into the wind and,as it turns out slightly uphill. I went through halfway in 18:48, therefore realising that the sub 37 wasn’t on. I was blowing hard, but felt focused and determined to run as hard as I could. I got a real boost as the course turned a little and all of a sudden it felt a lot easier – the wind was behind us and we had a long gently downhill section. I sensed a few runners around me were using this as an opportunity to take a breather to I pushed on and took a few places. My 6th K was 3:38. I kept the hammer down as the pain started to build and I implored myself to put in another burst between 7-8K, which I ran in 3:33. I got in a good group of 4 or 5 guys that helped me keep going in the last few Ks when I was really hurting. I dug in for a hard sprint finish over the last 200 metres and crossed the line in a chip time of 37:21 to finish in 154th position out of 1079 starters. It was a negative split with the second 5K taking me 18:33. All in all I was really pleased with my run. It really was a max effort and I couldn’t have run much faster. I was especially pleased with the pacing – a slight negative split with a hard finish which is generally viewed as the best way to run a fast time. Now all this Christmas racing is done, I’m looking forward to knuckling down in the New Year and getting some good mileage weeks in the bag as I get into the main phase of my marathon training programme. Good luck with all your running in 2014, Happy New Year to everybody!